Valentine's day is almost upon us once again. A traditional gift for the lover's holiday is Chocolate - but this year consider pairing that gift of delicious chocolate with the right wine to create a flavor pairing that is out of this world! Like wines, there are many many different types of chocolate - and finding the right wine can be quite a challenge. Chocolate can be sweet, bitter, salty, infused with various flavors - all these factors must be considered when pairing with wine. Find the right pairing - and WOW... the chocolate tastes better, the wine tastes better... everybody wins!!! 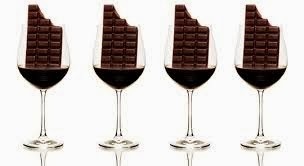 Here are some pointers in pairing wine with chocolate - this topic is a hot one, and you will read about many absolutes like never pair chocolate with a dry red wine... which does make some sense when you consider a general rule of food and wine pairing is to never serve a wine with a dish that is sweeter than the wine. But one of the best pairing combinations I've ever experienced was a red wine and dark chocolate combination (I talk more about this in a bit)... so don't be afraid to experiment a little! 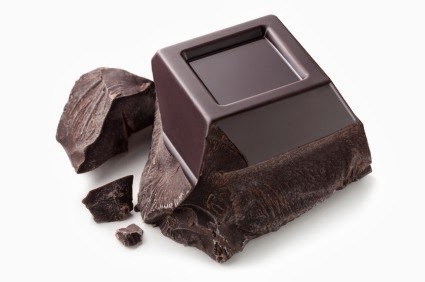 The bitterness of a quality dark chocolate is able to pair with the bitterness of the tannins of a red wine, and accentuates the fruity notes in the wine. With each type of chocolate I've included several recommendations - plus a "Go Wild" option if you are feeling particularly adventurous. Not technically a chocolate since it doesn't contain any cocoa, white chocolate does provide a nice blank palate to highlight the flavors of a good wine pairing. Always look for a good quality chocolate and avoid “white chocolate” products that contain vegetable fats instead of cocoa butter. Recommendations: White dessert wines like Ice Wine, Muscat, Orange Muscat, Moscato d’Asti, Sweet Tokaji, Pedro Ximénez Sherry, Sweeter Riesling (Beerenauslese) or even a Demi-Sec Sparkling wine. Go Wild: Try a good quality red dessert wine with a fruitier character, like a Vintage Port. With Milk Chocolate you do need to take into account the sweetness. Without the bitterness of darker chocolates, the sweetness is the highlight of this chocolate, and therefore needs a sweet wine. I believe that "darker" sweet wines (e.g. 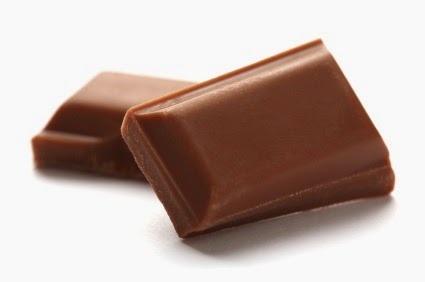 not white) offer more complexity of flavor to go along with a high quality milk chocolate. Recommendations: Pedro Ximénez Sherry, Italian Vin Santo (If you can find it! ), Tawny Port, Ruby Port, Madeira, Late Harvest Zinfandel, and sweeter Rieslings (although a white dessert wine, the complexity and strength of flavor in many sweeter, high quality, Rieslings stand up nicely to chocolate). Go Wild: If you go for a classic Valentine's day treat with Chocolate dipped strawberries, you can try a different type of pairing. The addition of a bit of acidity from the Strawberry can let you try a Chardonnay fruity that has some characteristics of baking spices. When adding some caramel to the mix, I like to stick to the wines with those darker, more caramel like flavors that you can find in Madiera and Pedro Ximénez Sherry. 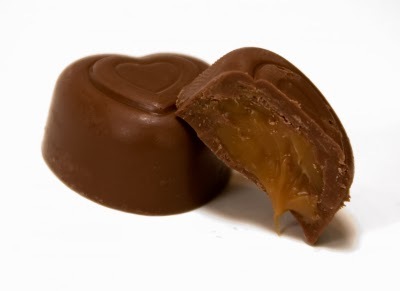 Go Wild: If a darker chocolate covers your Caramel you can try a dry red wine. Try a fruity pinot noir that will contrast nicely with the salty caramel flavors. With the wonderful bitterness of dark chocolate, many dessert wines will still work as pairings, but now you can also experiment with dry red wines... and I recommend that you do! Recommendations: Ruby Port, Vintage Port, Late Harvest Zinfandel, Maury or Banyuls (both fortified French dessert wine made mostly from Grenache). Go Wild: Big and fruity dry red wines can make fantastic pairings. Think Cabernet Sauvignon or Syrah/Shiraz. Lots of fruit flavor, and don't be afraid of tannins - the bitterness of the tannins is what pairs up with the bitterness of good dark chocolate. One of my favorite flavor combinations of all time is Ghirardelli Espresso Escape Dark Chocolate with a big Cabernet Sauvignon. The wine picks up the flavor of the espresso and provides a super-long, super-complex set of coffee, chocolate, and red fruit flavors that is just stellar. On my personal list to experiment with in the future - other big tannic wines like Tannat and Barolo with dark chocolate. 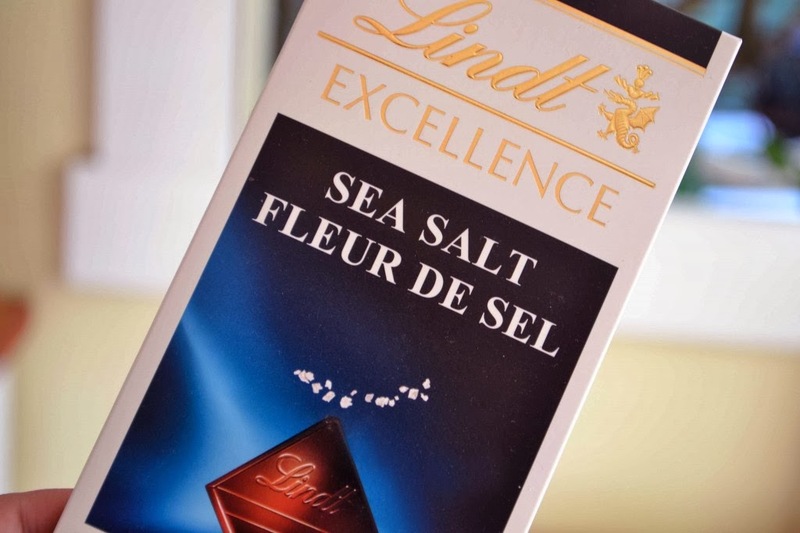 Chocolate with added salt is quite popular - with the added saltiness accentuating the complex flavors of good quality chocolate. Go Wild: Amontillado Sherry with a bit of sweetness, and a briny nuttiness can match up nicely with the bit of extra salt added to the chocolate. A bit of a warning, Sherry wines like this can be an acquired taste - but give them a try with an open mind and you may become as fond of them as I am!